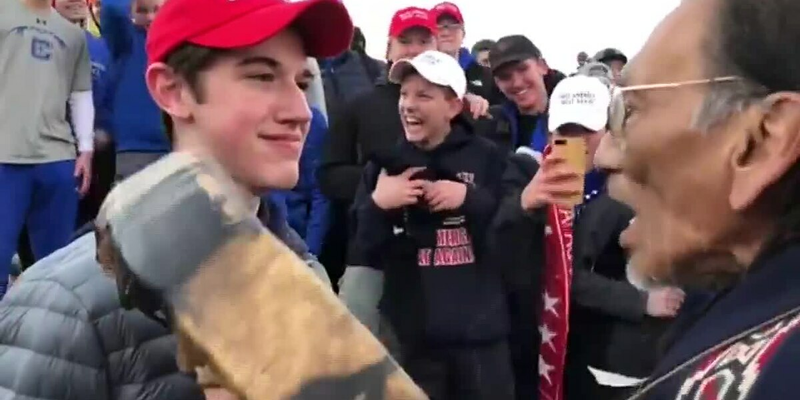 Videos show participants in the Indigenous Peoples March, one man playing a drum, surrounded by young men in “Make America Great Again" hats and Covington Catholic clothing. PARK HILLS, KENTUCKY (FOX19) - The student at the center of the viral videos involving Covington Catholic High School students and Native American marchers issued a statement on Sunday night. Nick Sandmann, a junior, is releasing what he calls the factual account in order to “correct misinformation and outright lies being spread about my family and me."